Some follow a philosophy of speaking softly and carrying a big stick. Big Barda does not. Instead, she lives up to her name with her awe-inspiring height and power as well as the impact she leaves on her enemies. Taken from her mother at an early age, Barda grew up on Apokolips in Granny Goodness's "Orphanage" where she was trained in the art of battle. Barda relished fighting and enjoyed besting anyone that challenged her. Her sheer power and unparalleled skills in combat quickly made her the most feared Apokoliptian warrior of all time—an incredible feat to accomplish on a world that bred the most terrifying, cruel and malicious fighters in the Multiverse. Barda's abilities and take-charge attitude even allowed her to become the leader of the Female Furies, a ferocious and powerful group of warriors who served as the personal guard to Apokolips's tyrannical ruler, Darkseid. Barda served Darkseid for many years—until she met Mister Miracle. The two fell in love and Barda began questioning Darkseid’s cruelty and totalitarian philosophy. Eventually, she fled to Earth, battling her way through the hordes of Apokolips and her former allies—defeating them all. Barda continues to share a close and romantic relationship with Mister Miracle, despite their contrasting personalities. Whereas Mister Miracle is more peaceful and kind, Barda loves to fight and relishes battle. She's the brawn to his brain, and as the more powerful of the two, tends to be very protective of him. As a New God, Barda possesses immense levels of enhanced strength, speed, agility, stamina and more. Barda is also a master of multiple forms of combat and an expert swordswoman, capable of fighting even Wonder Woman to a stand-still. 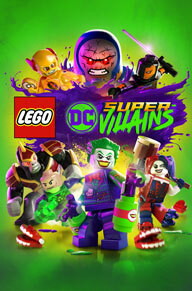 Her height alone makes her one of the tallest and most intimidating heroes in the universe. 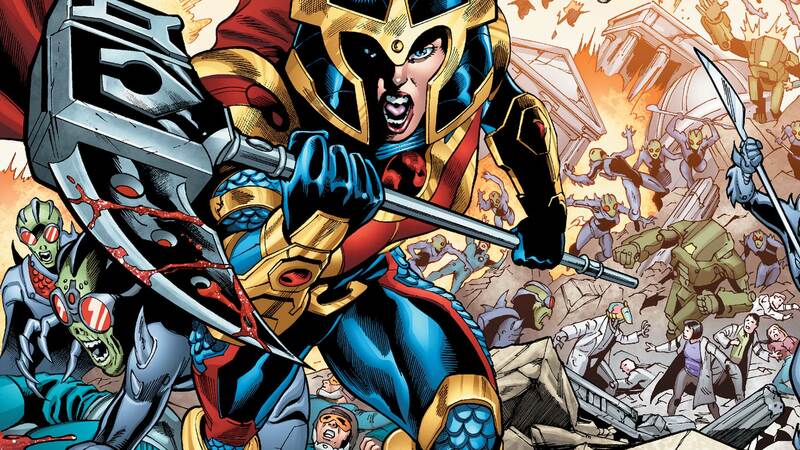 Along with her physical capabilities, Barda wears Apokoliptian armor that enhances her impressive abilities and wields the Mega-Rod, which may look small but packs a punch that could level mountains. As a high-tech weapon, the Mega-Rod fires powerful concussive bolts, increases gravitational forces and allows Barda to instantaneously teleport herself and others great distances.